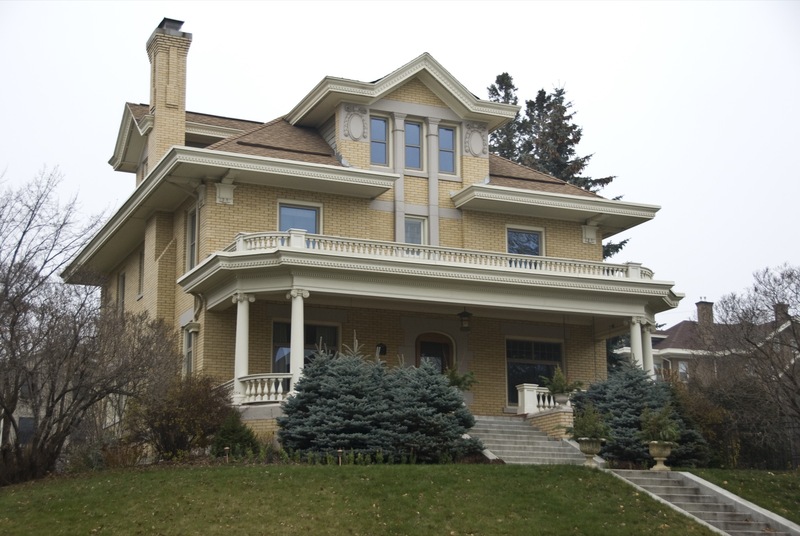 Although designed by Bray and Nystrom, the McDougall home is heavily influenced by I. Vernon Hill’s Ornamented Cube idea employed on the Crosby house: a yellow brick box with a flared dormer gable. Captain Alexander McDougall, who built the house as a widower, invented the whaleback steamer (nicknamed “pig boat” for its bow’s snout-like appearance), a precursor to today’s ore boats. His American Steel Barge Company built ships in Superior before moving operations to Duluth.